Buildings are the largest energy consuming sector in the world, and account for over one-third of total final energy consumption and an equally important source of carbon dioxide (CO2) emissions. 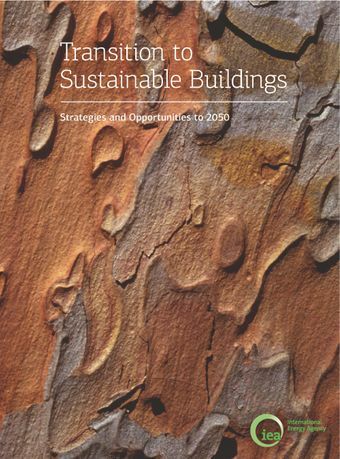 Achieving significant energy and emissions reduction in the buildings sector is a challenging but achievable policy goal.Transition to Sustainable Buildings presents detailed scenarios and strategies to 2050, and demonstrates how to reach deep energy and emissions reduction through a combination of best available technologies and intelligent public policy. This IEA study is an indispensible guide for decision makers, providing informative insights on:-Cost-effective options, key technologies and opportunities in the buildings sector; -Solutions for reducing electricity demand growth and flattening peak demand; -Effective energy efficiency policies and lessons learned from different countries; -Future trends and priorities for ASEAN, Brazil, China, the European Union, India, Mexico, Russia, South Africa and the United States; -Implementing a systems approach using innovative products in a cost effective manner; and -Pursuing whole-building (e.g. zero energy buildings) and advanced-component policies to initiate a fundamental shift in the way energy is consumed.